I have been thinking a lot recently about decision-making in the context of behavioural finance. Behavioural finance is now a huge field because it is widely recognised and accepted that what really drives our financial outcomes is our behaviour. The conversation around, ‘should I own Facebook or Apple’ is so totally inadequate and unimportant if the conversation that came before it is not ‘how can I make sure that I don’t make the wrong decision at the wrong time for the wrong reason’. Brian Portnoy (author and Director of Investment Education at Virtus Investment Partners) said in a podcast recently that picking investments matters ‘only in the context of the recognition that it’s your own behaviour and transcending your emotional and cognitive biases that are going to get you to a good spot’. Good behaviour involves making good decisions, and good decisions involve good choices. And it is choices that I am thinking about today. One of the most important parts of living a happy life is having freedom. The freedom to choose. The freedom not to have someone else dictate what you do and when you do it. We humans like to feel in control. The whole of Western industrialised culture is built on the assumption that in order to maximise the welfare of individuals we need to maximise individual freedom. And the way that we have achieved this is by maximising choices. It is embedded in our lives that the more choice we have the better off we are. This has recently been questioned by some psychologists. 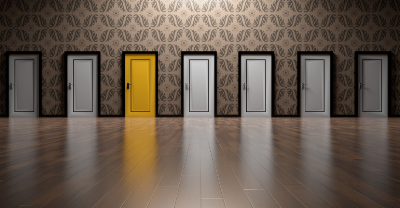 Barry Schwartz (psychologist and author of eight books) has done a lot of work on this and he calls it the “paradox of choice” – that is, we crave more choice but more choice overwhelms us, limits our ability to make a decision and ultimately constrains us. Some choice is better than none of course (there are plenty of people suffering in the world through a lack of choice), but more is not necessarily better than some. The law of diminishing returns applies to choosing. Next time you are in the supermarket or buying something on Amazon, think about it. Part of the reason for this is that as the number of choices we have increases, so do our expectations. When we have lots and lots of options, the satisfaction that we get from what we end up choosing falls even when what we choose is really good. More choices means that we can do better, but we actually end up feeling worse. Studies suggest that we face 35,000 different decisions every day. Most are trivial. But some are not. Our brains suffer from overuse just like any other muscle – it gets tired and we succumb to decision fatigue. We all know that feeling at the end of the day when we literally can’t face anything else. It’s choice overload. Modern day society has left us to make decisions for ourselves that used to be made for us. Take healthcare for example. If you go to the doctor and are diagnosed with a disease you are told, you can have this treatment or that treatment. You are told the benefits and side-effects of both, and asked to make a decision. It’s called patient autonomy, which of course makes it sound like a good thing. Barry says that it is simply a shifting of the burden and decision-making from someone who knows something to someone who doesn’t. And the same thing has happened in our money life, only it’s worse. There too we have been left to our own devices (the days of defined benefit pension plans where someone else saved and invested for us are long gone) but the choice is not between A or B, it’s between A, B, C, D…..Z – the choices are literally endless. There is an investment nowadays that will do just about anything that you want and there are hundreds of investments that do literally the exact same thing. Any person left to make their own choices can fairly quickly be overwhelmed and end up making no decision at all. And with money, the opportunity cost to not making a decision can be huge. As you can see, it’s important not to confuse simple with simplistic. Carl calls it elegant simplicity. It’s an acknowledgment that we have gone through the complexity of a problem and have arrived at a simple solution that works elegantly. This is an incredibly powerful process in a part of our lives where we are faced with a vast array of different decisions and choices every single day. If you want help simplifying your financial life, you know where I am.